Today CBS has announced what shows they're renewing for the upcoming 2013-2014 TV season, and it's a huge count of Eighteen TV series being renewed! Also, amongst the reality TV fare, is included The Amazing Race, Survivor and Undercover Boss. 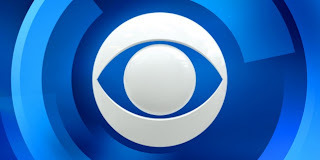 CBS announced today it has renewed 18 returning series from television's top-rated lineup for the 2013-2014 broadcast season. The mass renewals showcase the strength and stability of television's leading network among viewers, adults 18-49 and adults 25-54. This season, CBS is home to the #1 program/drama (NCIS), the #1 comedy (THE BIG BANG THEORY), the #1 new series (ELEMENTARY) and the #1 newsmagazine (60 MINUTES). Among the returning dramas are the previously announced NCIS, television's #1 program and top drama for the fourth consecutive year, and the time period-winning CSI: CRIME SCENE INVESTIGATION. The Network's three Emmy Award-winning reality series — THE AMAZING RACE, SURVIVOR and UNDERCOVER BOSS — also return with new editions. 60 MINUTES, television's #1 newsmagazine, and 48 HOURS, Saturday's #1 non-sports program, will return in the fall. In addition, CBS and Warner Bros. Television are in discussions regarding another season for TWO AND A HALF MEN. Season-to-date, CBS is first in viewers (12.22m), adults 18-49 (3.0/08) and adults 25-54 (3.9/10).